Thursday, November 23rd, 2017. Race begins at 8:30 a.m. sharp. Kid’s Fun Run begins at 8:00 a.m. Please register early as we are expecting to sell out!!! There will be no race day registration! Pre-registration is online now for $25.00 and NO PROCESSING FEES! 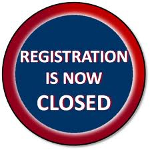 Deadline for online registration is midnight Sunday, November 19th. Guaranteed free T-shirt if registered by November 1st, 2017. Adult T-shirt sizes: XS, S, M, L, XL. The race is limited to 2000 runners so sign up early!!!!! No refunds. Pre-registration online $7.00 and no processing fee. Deadline for online registration is midnight Sunday, November 19th, 2017 at midnight.